Beautiful, with lake, pool, volleyball court and football field. Villa with 2 double bedrooms and a large lounge with bunk beds. 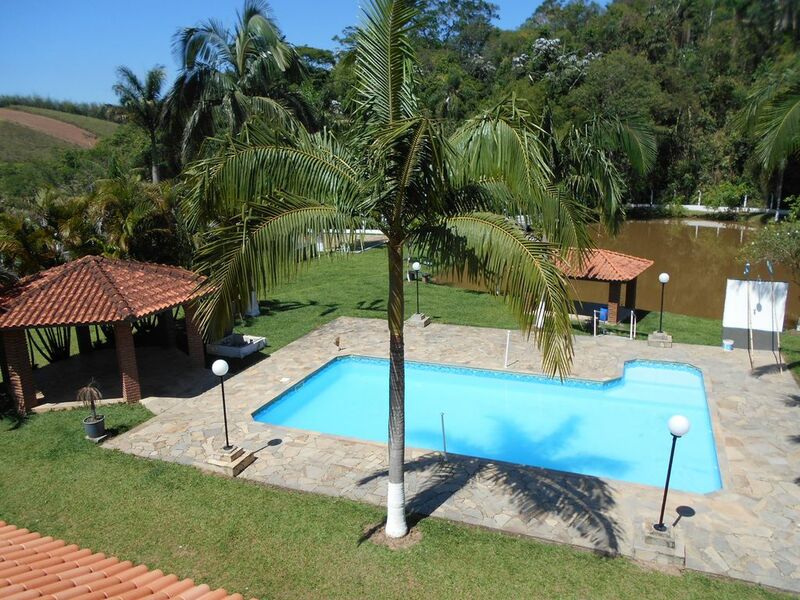 If you love nature, loves life and loves the tranquility, you have to know the site Paradise in Santa Isabel / SP. They are 10 000m² of pure beauty. All fenced for security and privacy, including their most comidade, if you need, the home will still at your disposal. The spot is beautiful and has a swimming pool, soccer field, sand volleyball court, lake where you can fish, game room, barbecue, wood stove and orchard. PLEASE DO IF A VISIT (PRE-SCHEDULED), IS AT YOUR DISPOSAL.